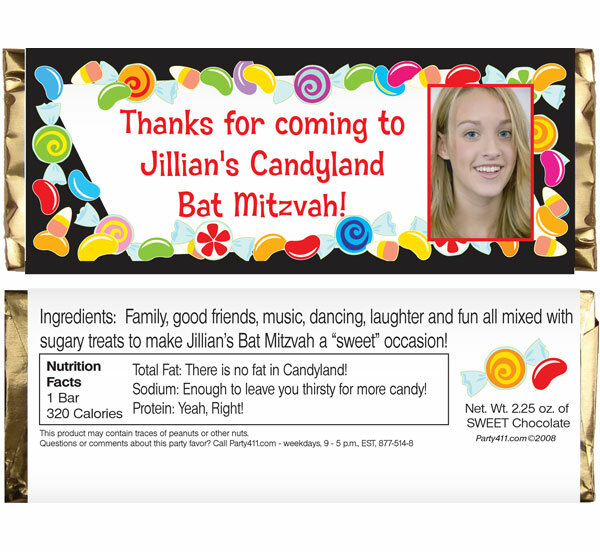 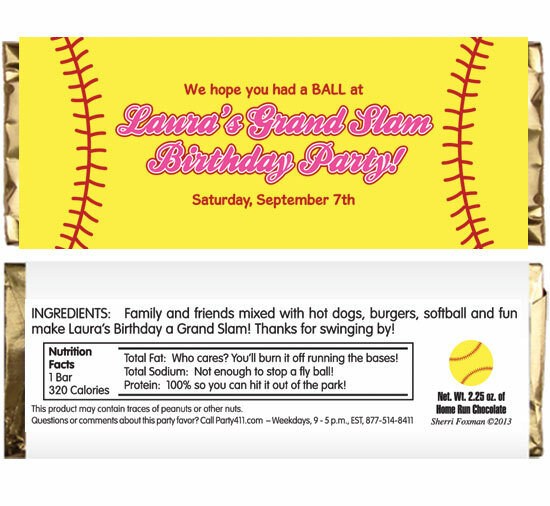 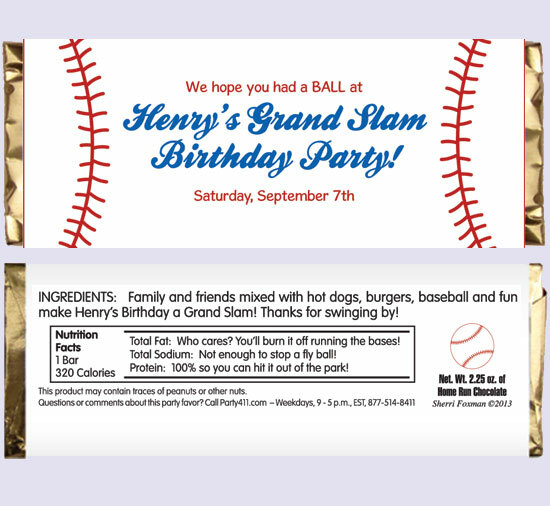 Party411.com can personalize your bar and bat mitzvah candy bar wrappers. 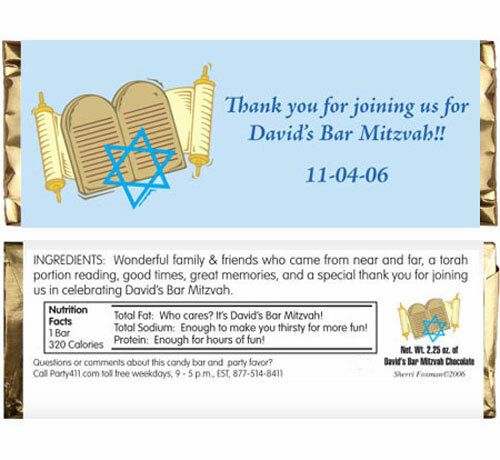 Special day deserves a special treat! 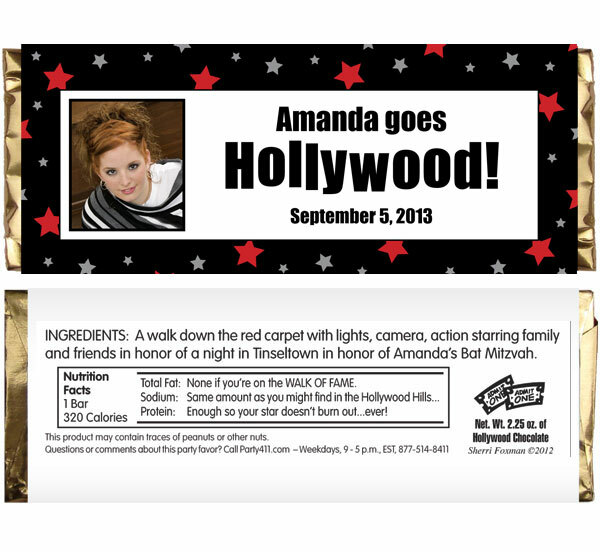 Perfect for the Hollywood Party! 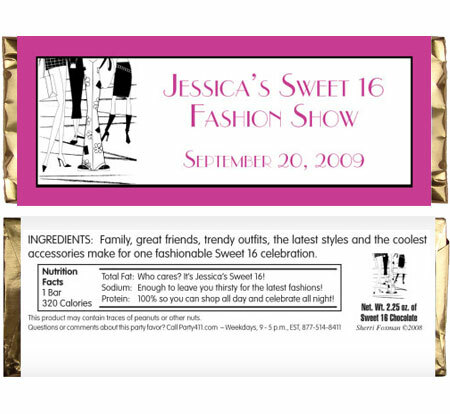 For those with fashion sense.